In search for an answer from The Undertaker John Cena found himself standing face to face with Kane last week instead. What will happen when these two face off tonight and will Cena finally get an answer? Plus after a brutal beat down at the hands of Brock Lesnar will Roman Reigns be ready for WrestleMania? Alexa Bliss has stepped into hot waters with Nia Jax and with the two facing at WrestleMania what will Nia do next in her pursuit to get to Bliss? Matt Hardy Deleted Bray Wyatt last week so what’s the next move for the Woken one? The stage is set for the Intercontinental Championship Match but will it be Rollins, Bálor, or Miz who gets the upper hand heading into the mega Triple Threat Match? Finally, Ronda Rousey and Kurt Angle look focused and determine for their tag team match but the question is are Stephanie and Triple H ready? 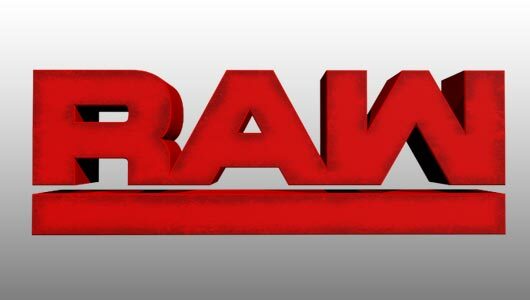 Raw kicks off with us being welcomed to the show by Michael Cole, Corey Graves, and The Coach. Paul Heyman says we are 7 days removed from a savage beating from Brock Lesnar. He says not even his articulation can show what Lesnar did last week and then shows it on the titantron. Heyman says the temporary suspension of Roman Reigns has been lifted. He tells that for everybody who thinks Reigns is gonna come out ready for a fight he is not here this evening. He says he can’t give the credit to Brock Lesnar for not being here. He tells of Reigns family history in the wrestling business and says they raised Reigns to fight and win but it’s a shame they didn’t raise him to be a man. He says Reigns is the one who says he’s here every week but he’s not. He then tells that Reigns needs to be man enough to come take this title. He says Reigns isn’t man enough to come take the beating from Brock Lesnar. He says on April 8th Reigns will not be man enough to take the title from Brock Lesnar. Reigns then comes through the crowd to the ring. Reigns grabs a chair but Lesnar hits him with a clothesline. Reigns then bounces Lesnar off the post and grabs the chair. Reigns unloads on Lesnar. Reigns looks for the Superman Punch but is caught and hit with a devastating suplex. Lesnar grabs the steps and takes out Reigns with them. Lesnar then throws Reigns into the ring and hits him with the steps again. Lesnar then grabs the chair and hammers on Reigns with it. Lesnar gets back in the ring and hits Reigns with an F5 on the steps. Lesnar stands tall. This is a good start to Raw, even though Reigns has been destroyed the last two weeks I think it’s good for his case. We don’t know what will happen with Lesnar and because of that, you don’t want to give it away and then lose interest in your main event. With Reigns being beatdown he now has to fight back, it makes Lesnar look unstoppable but if Reigns can pull off the win he looks like the hero and overcame everything making the title win that much better and more surprising. Nia pushes Mickie to start the match. Nia again pushes Mickie down as the two exchange words as Raw goes to break. As Raw returns, Nia stomps on Mickie in the corner and then throws her across the ring. Nia uses the ropes to take advantage but Mickie slaps her as she is backed off by the ref. On the floor, Mickie lands a big kick to Nia. Mickie kicks Nia and goes after her knee. Nia comes back and throws Mickie again. Mickie wears down Nia with knees to the gut. Nia comes to and lifts Mickie slamming her to the mat. Nia looks for the leg drop but Mickie rolls out of the way. Mickie tries a series of covers but Nia doesn’t stay down. Mickie continues to work on the knee of Nia and then goes to the top. Nia gets to her feet and presses her. Nia turns it into a Samoan Drop and gets the 1 2 3 on the cover. ***After the match Alexa tries a cheap shot but it doesn’t phase Nia. Alexa quickly runs away and Nia tells her she will catch her at WrestleMania. Nia looked awesome tonight, she showed her power and didn’t let Mickie ever get too far ahead. For Alexa she’s gonna have to do what Mickie tried to do and bring Nia down to size. Alexa isn’t gonna win if she can’t get an edge but Nia is just so powerful that I don’t know how Alexa can overcome her. I think for Nia she has a ton to prove and if she hits that Samoan Drop on Alexa then I think we might have a new Raw Women’s Champion. As Raw returns, TJP is in control of Ali. TJP tries for a cover but Ali kicks out. TJP lands a big slam and then uses the ropes to hit a senton on Ali. Gulak gets the tag and takes control. Ali chops Gulak but he fires back and throws him into the corner. Gulak lands a back body drop and goes for the cover but Ali kicks out. Gulak throws him in the corner again and takes a cheap shot on Alexander. Ali is able to hit Gulak and takes him to the mat. Alexander and TJP gets the tags. Alexander lands a huge dropkick and follows with a big forearm. TJP sends him to the apron but is hit with a huge kick. Cedric comes off the top rope and goes for the cover but Gulak breaks it up. Ali flies to take out Gulak. TJP tries to steal one but Alexander kicks out. Ali tags in and Alexander hits the Lumbar Check. Ali then flies and hits the 054 and gets the win for his team. This was a pretty good match, I think Alu and Alexander continue to prove they are the top of 205 Live. Even though they will face off in the biggest match of their careers in two weeks you could still see the respect they had for each other. They showed a good little preview of what they are capable of but I’m very excited to see what they will do with the title on the line. I know neither one will give up and they’ll do whatever it takes to win the vacant championship and show what the Cruiserweights are all about. Miz says he has some personal issues to address and says he likes to get it out in the open and be honest. He asks Axel and Dallas if they’re enjoying themselves. He tells them he is not happy and reminds them he brought them spotlight. He says they failed him when he needed them most. He says he can’t count on his Miztourage. Axel says he can count on them but Miz reminds them he has been laid out the last two weeks. He tells them he deserves better and they’d be nothing without him. Out comes Seth Rollins. Rollins says this is great stuff. He says he doesn’t mean to interrupt so he’s just gonna hang out. Miz says they have issues they’re trying to work out. Rollins tells Miz he can help and says The Miztourage is feeling under appreciated. He then asks Miz the last time he told them thank you. Rollins tells Miz that without them he wouldn’t be Intercontinental Champion. Miz says they know he is grateful for them and they know they should be grateful for him because he elevated their careers. He says without them he would still be a star and a champion. Dallas then says without them he’d be a phony A-Lister who can’t fight. Rollins asks Dallas to say that again but out comes Finn Balor. Balor says it looks like they need his help right now. Balor then says Dallas said Miz was the biggest jerk he’s ever met. Dallas says he didn’t call him a jerk and then admits to calling him a phony A-Lister who can’t fight. Miz tells him to say that again. Dallas goes to say it but Miz hits him. Miz says he is trying to fire him off and motivate them. He tells Dallas and Axel they should only be focused on the title. 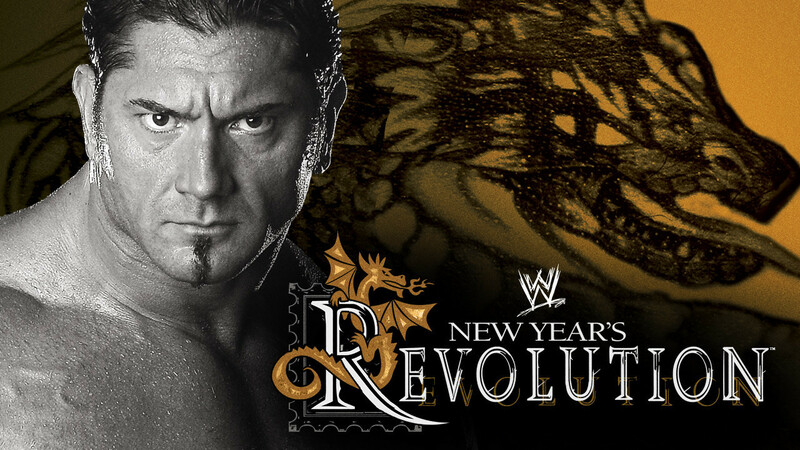 He says in 34 days he will be the greatest Intercontinental Champion of all time. Miz says he’ll be better than Shawn Michaels, Macho Man, and Mr. Perfect. Axel takes offense to that. Miz then says we don’t need this and tells that Miz Tv is now canceled. Miz goes to leave but Dallas and Axel stop him. Miz pleads with them and says no one wants to see this. Axel and Dallas then attack Rollins and Balor instead. Miz pounds on Balor as Rollins was sent to the floor. Miz looks for the Skull Crushing Finale but out comes Gallows and Anderson. Miz is left alone and tries to hit Balor with the title but instead is hit with the sling blade. Rollins tries his hand but Miz is able to get out of harm’s way. Miz the tries a cheap shot but balor makes the save and Rollins is able to send Miz out of the ring. Balor then lays out Rollins and stands tall with the title. This was a really good segment, I loved the set up by Miz and thought it was a great plan and well executed. I still a rift between the group especially since Miz was left out there alone again. At this moment Balor has the edge, he’s been the one really standing tall. I think Rollins keeps get the short end of the stick but when the match takes place I believe he’ll be ready and Balor will get a run for his money. As for Miz he needs The Miztourgae to be by his side because Balor and Rollins I think will take him out and fight it out if Miz has no back up. Kane tells Cena that there are some demons that you should never be called out by name. He says there are demons who want to rest in peace and he will suffer for his indiscretions. He tells him hr won’t be going to WrestleMania because tonight he is going straight to hell. Frost starts with a series of right hands but is quickly laid out by a kick form Asuka. Asuka goes for the over and gets the 1 2 3. So this shows how quickly Asuka can end a match but at the same time this isn’t exactly what Asuka needs when preparing for Charlotte. Asuka better be ready because she is facing the best at WrestleMania and Charlotte will not go down that easy. Asuka is gonna be in for a very competitive match like she’s never been in before and a win like this better not go to her head cause Charlotte can end it just as quick as she can. Hardy says as a result of the Ultimate Deletion Bray Wyatt is no more. He says The Great War is over but he now set his sights on WrestleMania. He says he is now going to honor the 8th wonder know as Andre and anyone who steps in his way will suffer the same fate and be deleted. Bayley tells Sasha that she is entering the rumble and that’s it. Sasha says if she has something to say to her then just say it. Bayley tells Sasha that that she thinks she loves that she puts her first and lets her walk around like she is the legit boss. Sasha says she does what best for her career and she should do the same so people don’t think she is a loser. Bayley tells her that she knows she can’t beat her. Bayley then asks how long did she keep it. Sasha and then goes at Bayley. Bay.ey fights back but Sasha gets the upper hand. The two then have to be seperated. Sheamus says everyone thinks your so dominate because you flip trucks and destroy walls but they have it figured out. They says it’s the eliminate of surprise and that’s how he won the tag team battle royal. Sheamus says they want to know his partner because they want to prepare professionally. Braun says he will tell them who it is but Sheamus has to beat to him. Sheamus says that’s unfair and they want an answer right now. Braun says maybe they’ll get an answer but he guarantees he will get these hands. Sheamus takes advantage of the distraction by Cesaro and hammers on Strowman. Strowman tosses Sheamus but Sheamus comes back and sends Strowman to the floor. Sheamus then hangs him up on the top rope. Braun comes back and tosses Sheamus to the floor. Braun brings him back into the ring. Braun the blast him off the from the ring into the barricade as Raw goes to break. As Raw returns, Braun misses on a kick and Sheamus attacks. Sheamus is able to land a ddt and hammers on him with kicks and knees. Sheamus lands a big kick in the corner and then works the arm of Strowman. Sheamus gets Strowman on the mat and continues to work on his arm. Sheamus hits him with knees but Strowman works to a vertical base and hits him with a series of clotheslines. Strowman goes ot the outside and blast Sheamus with a shoulder tackle. He drives Sheamus into the barricade and then brings him back into the ring. Sheamus is abe to side step Braun again and takes advantage. Sheamus stomps on Strowman. Sheamus then misses a kick and is met with Strowman crushing him in the corner. Strowman hits the running powerslam and gets the win. Sheamus did an awesome job against Strowman but for Strowman it takes more than that to keep him down. Strowman’s power is unbelievable and if you let him get a little advantage he’s gonna run with it. The Bar has shown the past two weeks that Strowman might need a partner cause they’re getting him figured out. On the same note Strowman plus someone to have his back will be unstoppable. 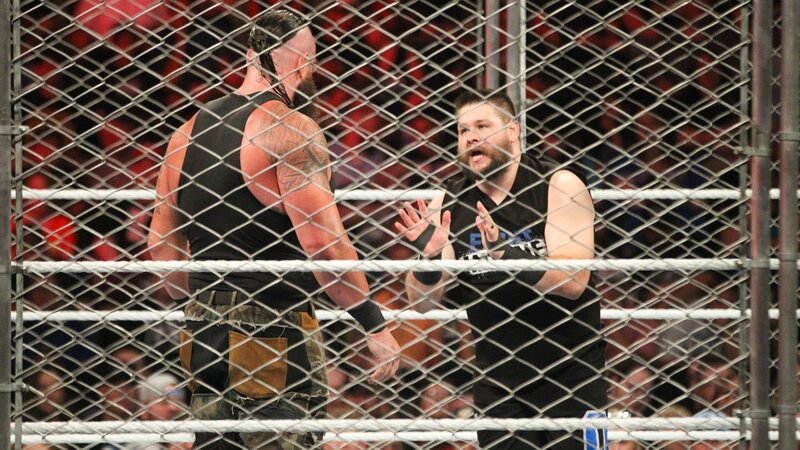 I definitely understand The Bar wanting to know his partner because beating Strowman is a huge task but add someone else and their game plan really will need some work. Angle comes out and praises Rousey. He tells how it’s an honor to work with her and how excited he is. Out comes Ronda Rousey. Angle says after working with her he knows she is ready for WrestleMania. Angle says Stephanie and Triple H mean what they say and even though it will be fun it won’t be easy. Rousey said she didn’t come looking for easy. She tells Stephanie will get everything she deserves. Out comes Absolution. Paige says the one thing that will hinder her in WWE is not having friends. She introduces herself and the group and says they would like to welcome her to Raw. she tells Rousey this is their show and this is her house. Paige tells her she could get lost in the shuffle and offers to watch her back. Rousey says she has an Olympic Gold Medalist watching her back so she’s good. Paige says she understands but tells her she doesn’t have to do this alone she can become the fourth member of Absolution. Rousey thanks her for the offer but says no. Paige says that wasn’t a good choice and tells her now she just made some worst enemies. Deville takes a cheap shot but Rousey takes her out. Rose then tries but Rousey catches her and sends her flying into Deville. She then slams Rose and goes after her arm. Angle has to stop her. Rousey looked good tonight with the few moves she was to get in. She definitely looks ready for WrestleMania and I really think she’s gonna do well. I like the team of her and Angle and she’s learning from one of the best to ever do this. Rousey needs some work on the mic but I think in two weeks she prove to any doubters that she belongs and will spark the start of an awesome career for her. As Raw returns Anderson lands a huge kick to Axel. Axel is able to knock him off the top rope and Dallas gets the tag. Dallas goes to the outside and lands a big shot to Anderson. Dallas goes for the cover but Anderson kicks out. Dallas works a chinlock and works Anderson on the mat. Axel tags in and hits Anderson in the gut. Axel hits a big shot to Anderson’s nec and toys with him on the mat. Axel lands a huge drop kick. Dallas gets the tag and he continues the pressure on Anderson. He works him in the corner and the ties for a cover but it is not enough. Anderson comes back and hits a spinebuster. Gallows and Axel gets the tag. Gallows lands a huge clothesline and then a big kick in the corner. Gallows hits a slam and then big splash off the ropes. Anderson gets the tag and they hit the boot of doom. Dallas breaks up the cover. Anderson is able to counter Axel and he goes up top and hits Axel with a neckbreaker. Gallows gets the tag and they hit the magic killer. Anderson and Gallows get the win. Not a bad match between these team. I liked how Axel and Dallas were aggressive in the early going but they lost the edge half way through. The Club took advantage as they do and capitalized on it. 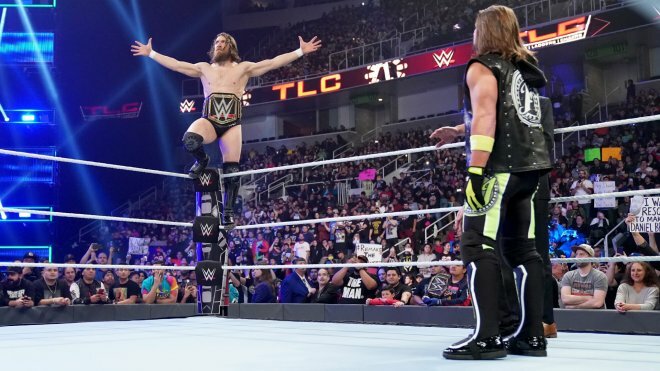 The Club definitely can be considered top contenders in the tag division after WrestleMania is over. Elias is backed in the corner but quickly fights out. Rhyno comes back with a shoulder tackle. Elias hits him with a back elbow and then sends him crashing to the mat. Elias stomps away on Rhyno and then works his neck. Rhyno is able to move out of the way of Elias and hammers away with big right hands. Rhyno hits a huge clothesline and then hits Elias with huge chops in the corner. Elias comes back with a knee and then hits a clothesline. Elias hits Drift Away and gets the win. ***After the match Elias hits Drift Away on Heath Slater. Elias was impressive tonight, I really liked his focused and how he was able to overcome the strong offense form Rhyno. Elias didn’t showcase all his moves but he showed that he can last and wait for his moment. If Elias can become a guy who can pick his spots he’ll become very successful, he’s proven as of late he really can hang he just needs some storyline to grasp onto. The interesting idea came up of Elias teaming with Braun at Mania and I wouldn’t mind that, I think that could be a great way to get Elias to the next level. The two start trading fist. Kane gets the upper hand with a big boot to Cena. they go to the outside and Kane continues to hit him with big eight hands. Back in the ring Kane hits a huge axe handle on Cena and goes to a chinlock. Cena tries to lift Cena but collapses. Kane goes for a cover but Cena kicks out. On the outside Kane stays in control and drives Cena into the steps as Raw goes to break. As Raw returns Cena hits Kane with a chair. Cena grabs a guardrail and drives it into the arm of Kane. Kane then fights off Cena and suplexes him on the barricade. Kane brings Cena back to ringside and back into the ring. Cena sits up like vintage Taker and takes Kane down with a shoulder tackle. Cena looks for the Five Knuckle Shuffle and hits. Cena then sends Kane into the exposed turnbuckle. Cena hits a chokeslam but Kane kicks out of the cover. Cena goes to the outside brings table into the ring. Kane sits up and lands a big kick to Cena. Cena is able to reverse Kane but Kane tips the table and is able to fight off. Kane drops Cena with a right hand and sets the table up in the corner. Kane and Cean trade blows but Kane gets the upper hand and throws Cena into the table. Kane then introduces another table into the match. Kane looks for the chokeslam but Cena reverses and hits an AA threw the table. Cena goes for the cover and gets the 1 2 3. *** After the match Cena grabs a mic and says no lightening, no bells of terror, no Undertaker. Cena says this is a match with no rules anything can happen and anyone can be here. He asks where he is and screams for Undertaker. Cena says he knows he’s not deaf he’s just a coward. Cena says night after night they chant his name. Cena tells him he doesn’t get to be mysterious, it’s either yes or no. Cena says he is fine with no because he will go as a fan but he tells Taker to look at the energy of the fans. Cena says Taker has one week that sums up his entire career. He says he can do something or do nothing. He tells Taker if he doesn’t he lets him down, Kane down, and lets everyone who ever cheered him on down. Cena says he hopes he’ll see him next week. This was a pretty good match, Cena definitely took it to Kane and did well in antagonizing Undertaker. It will be interesting to see if Taker does show up next week, I think this match will happen but the importance of it will be based on how they set it up. Cena has done well in keeping this alive the past month but time will tell what’s in store for him at Mania. This was a pretty good Raw, I like the start with Lesnar going over on Reigns again. As I said for Reigns it’s good for him to go in as the underdog because the rise is greater than the fall. I think Reigns will bounce back and this will only fire him up more to upstage Lesnar. I enjoyed Ronda Rousey tonight. It is evident that she is working so hard for this and it was cool to see her do some moves in the ring. No doubt she will do well at Mania but I’m really excited for what will come after. Tonight I would say, Nia, Braun Strowman and Elias all looked great in their matches. For Braun and Nia both showed you can knock them down but they have the fire in themselves that when push comes to shove they will do whatever it takes to stand tall. For Nia she has a great chance to win the title and for Braun no matter who he picks they’re favorites to take the tag titles from The Bar. As far as Elias goes I like how he stayed the course with the veteran Rhyno and he showed that he only needs one moment to capitalize and end it. To close the show I think Cena and Kane had a good match. I like Cena continuing his pursuit of Taker and hopefully he will answer next week. 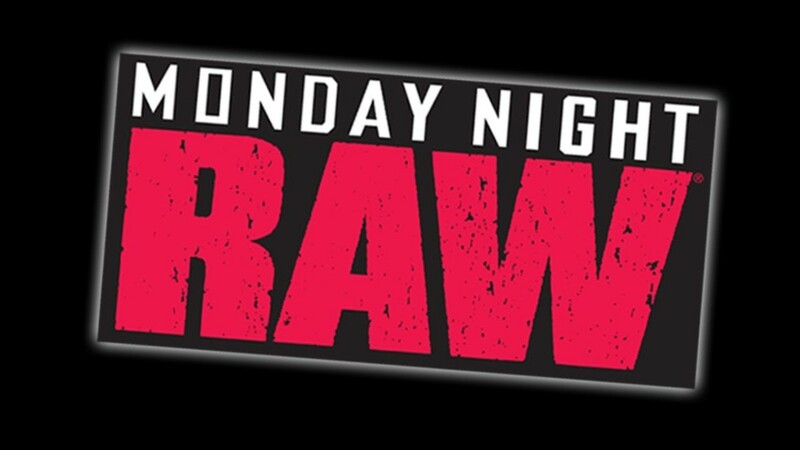 I can’t wait for next Monday as it will be the Go-Home Edition before WrestleMania!! !